Automotive - Industries - ZT | Zippertubing Co.
We work with some of the leading automotive manufacturing companies around the world! To keep up with current consumer trends, automakers have been engineering more complex automobiles and adding new electronic enhancements with each model year. Whether it’s adding more computers, additional sensors, better safety systems, higher quality sound systems with mobile device integration, or revolutionary comfort features that set a new standard, there are always wires that need to be protected and interference problems that need affordable fixes. With all of these advancements, there is a greater need than ever to protect the wires that integrate these systems, and that’s where The Zippertubing® Company can assist. 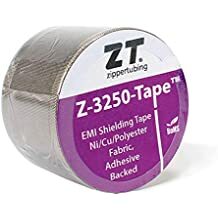 Since 1957, The Zippertubing® Company has provided automotive manufactures ways to organize, protect, bundle, and repair single wires or raceway cables. Organization, bundling, and protection aren’t the only areas where Zippertubing has assisted these auto manufactures though; we’ve also provided these same manufactures with EMI/ RFI and heat/thermal protection. Here are just some of the products we have related to the Automotive industry! As the automotive industry advances in technology, so do the problems that come along with it. Zippertubing® offers proven solutions per our product line, as well as custom solutions based on each client's particular needs, and a broad range of versatile cable management and harness applications. Automotive solutions for prevention, protection, and repair. Along with the general need for an easy-access, wrap-around heat-shrink product for repairs, is a need for EMI shielding and various other solutions for thermal management, cable and wire bundling, and EMI shielding. 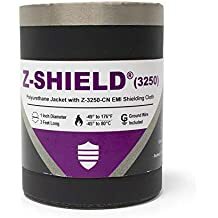 EMI shielding is becoming more and more critical as we continue to include more technological advancements in vehicles. Communication devices, 3G and mobile phones, Controller Area Networks (CAN), safety systems, controllers, Wi-Fi, GPS, RFID, and DC motors may emit electromagnetic signals that can interfere with one another, causing an unwanted adverse effect. What are some automotive devices that may produce or prove susceptible to EMI issues? Safety Equipment, such as ABS, Airbags, etc. Why use Zippertubing® products in the automotive industry?